If you’re in the software development business, there’s no doubt you’ve heard of, dipped your toe into or even experienced the joys and pains of agile methodology. The Agile Method promotes adaptive planning, early delivery and continuous improvement, and encourages rapid and flexible response to change. It’s quickly becoming the gold standard for software development. And, as the agile world has heated up, so has the pressure on testers to produce timely releases without sacrificing quality. With the fast pace of Agile, there is rarely time to test everything, so requirements must be prioritized and testing automation is deployed where possible. 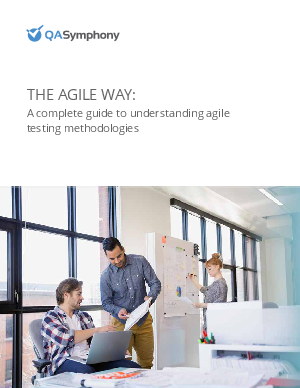 With this guide you’ll learn the importance of agile testing and the different types of testing, agile methodology, and our predictions on where the agile movement is headed.